In the minds of the Japanese press and their readers, the United States government under the Obama administration dislikes - if it doesn't, it should and it must - the Japanese "right-wing" administration of Shinzo Abe, and it condemns - if it doesn't, it should and it must - the State Secrecy Protection Law that just passed the Upper house in Japan. So when the Japanese reporters write about the US reaction (if any) to the law, they try their best to elicit the response they want to hear; failing that, they still hear what they want to hear and write about what they believe they hear. In other words, they goalseek. Deputy Spokesperson Harf said "Information security plays a critical role in alliance cooperation," indicating security of information shared by both the Japanese government and the US government is necessary. However, [Ms.] Harf also said, "A foundation of our alliance is a shared commitment to universal values such as freedom of expression and freedom of the press," by which remark she requested the Japanese government not to limit the freedom of speech based on the [State Secrecy Protection] Law. Thus, according to Mainichi, the US Obama administration has expressed concern that the Japanese government may restrict freedom of speech under the law. That's odd, I thought, coming from this US administration. There was no comment from the [deputy] spokesperson to the reporter when he pointed out that the State Secrecy Protection Law had long been requested from the United States for Japan to prepare it. That piqued my interest further. So I followed the link in the tweet to the State Department Daily Press Briefing (transcript) page (12/6/2013) to find out exactly what was said and who it was who asked the questions. QUESTION: National secret protection law has finally passed the parliament in Japan today. Can we have any comment on that? MS. HARF: -- it’s a topic that comes up. QUESTION: The last part is regarding this huge national debate in Japan that law might – press – the freedom of press practice in Japan. Is that the reaction you are making? MS. HARF: Well, as I said, a key part of our alliance is also the – our shared commitment to freedom of the press, and we believe it’s also important to protect classified information. So obviously – I know there’s been some debate about this there, but this is the extent of our response to that. QUESTION: Did you know that – I mean, can you comment on this law’s character? It has been long requested from the United States for Japan to prepare it. 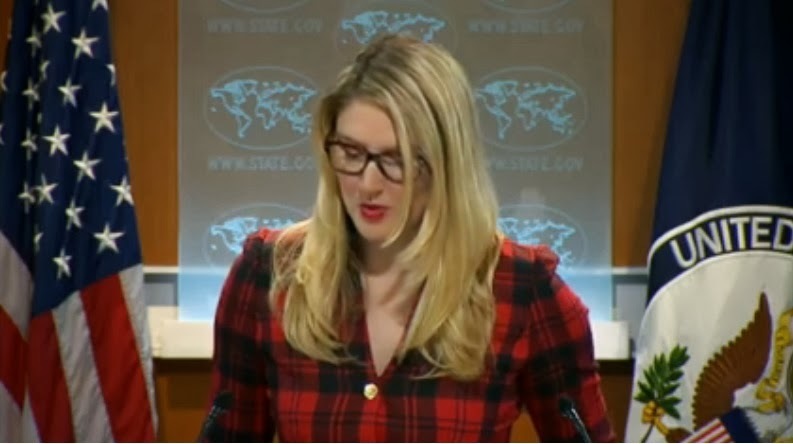 MS. HARF: I just don’t have any further comment on this new Japanese law. Well, it may be possible to interpret her remark "A foundation of our alliance is also a shared commitment to universal values, freedom of expression, freedom of the press" as a caution, a warning to the Japanese government as Mainichi reported, but it is also possible to interpret it as simply delivering the statement that the US-Japan alliance is based in part ("a foundation") on freedom of speech and freedom of the press, therefore there is not much to be concerned about. But it still doesn't satisfy my curiosity as to who asked the questions. The reporter seemed to want to elicit the particular response from the spokesperson when he asked if the US State Department thought the law might suppress the freedom of speech and freedom of press in Japan. So I watched the video of the press briefing. The video was much more instructive than the transcript. It was a Japanese reporter, probably from a major Japanese newspaper (my guess is Asahi) who asked the questions about Japan's newly-passed State Secrecy Protection Law. Watching the manner by which the sentences were delivered (reading off the words rapidly and business-like), I do not get the impression at all that these sentences form a criticism, or at least a caution, from the US to the Abe administration as reported by both Mainichi and Asahi. Rather, my take after watching the video is still that she is saying that "foundation" of "shared commitment to universal values, freedom of expression, freedom of the press" has already been in place, and the US government is not too worried about that aspect of the alliance. The reporter asked, But, but, what about the press freedom? Is the last part of your comment a criticism of the law? Well clearly not. Ms. Harf's answer (or rather, the sentences that she was told to deliver) is instructive if you read carefully. First, "our shared commitment to freedom of the press". Note that it is just a "commitment", little more than a promise. It is not obligation for the government to guarantee under the Constitution (which is what it is). Then, her last remark of "this new Japanese law". It is "Japanese" problem, whatever the problem may be, not the US. The reporter could have framed the question in a way relating more to the United States interest - i.e. defense alliance against China in the Far East. The US government could care less, probably, about what's happening in Japan. A protest against the law for the concern of freedom of speech? That's Japan's problem. Sadly for the Asahi reporter that I follow, her remark is about emphasizing the supreme importance of freedom of the press, and about the US government's continuing the effort to talk with the Japanese counterpart on the importance. Let's get back to Fukushima I Nuclear Power Plant, which feels to be working much better than the National Diet in Tokyo if you don't look very carefully. 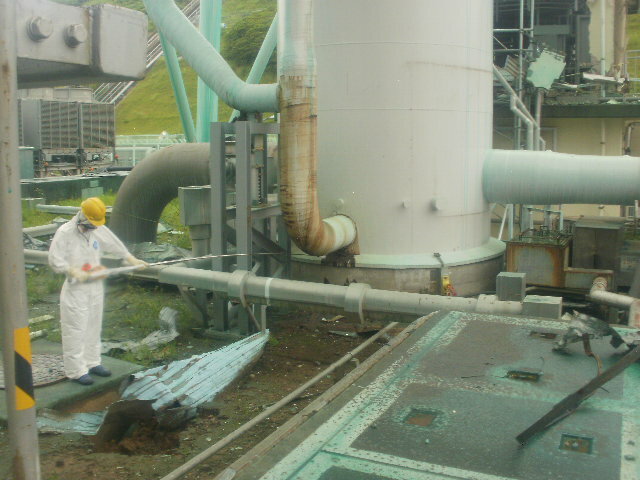 Remember the exhaust stack between Reactor 1 and Reactor 2, the bottom of which was found in August 2011 to be emitting extremely high radiation? In fact, it was so high that the dosimeter went overscale at 10 SIEVERTS/Hour on the surface of the pipe (see my post from August 2, 2011). 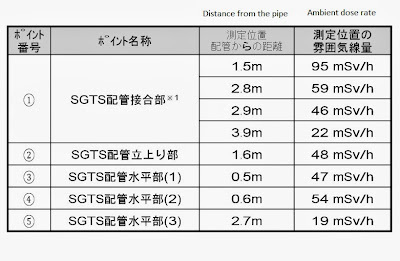 TEPCO finally did the measurement on November 22, 2013 to find out how high. 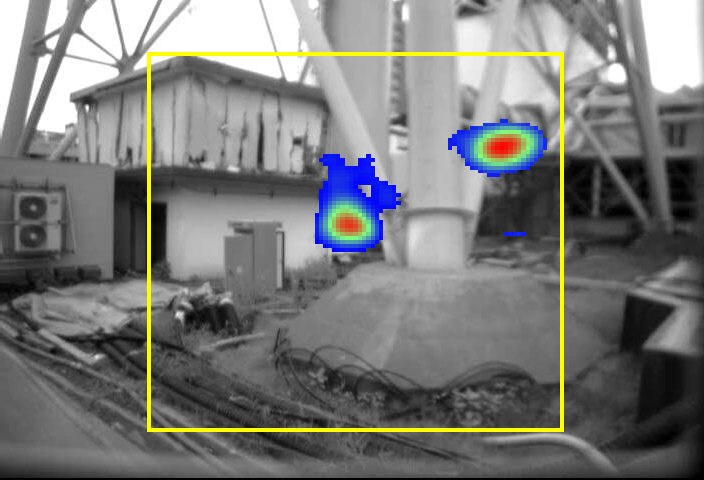 The conclusion is that it may be as high as 25 sieverts/hour on the surface of the radiation sources, which TEPCO thinks two (see the above gamma camera photo). The ambient air dose rates near the location were so high that the measurement was done with what looks like a 20-foot pole. There are reports by the media and blogs that this 25 sieverts/hour radiation was actually measured. It wasn't. 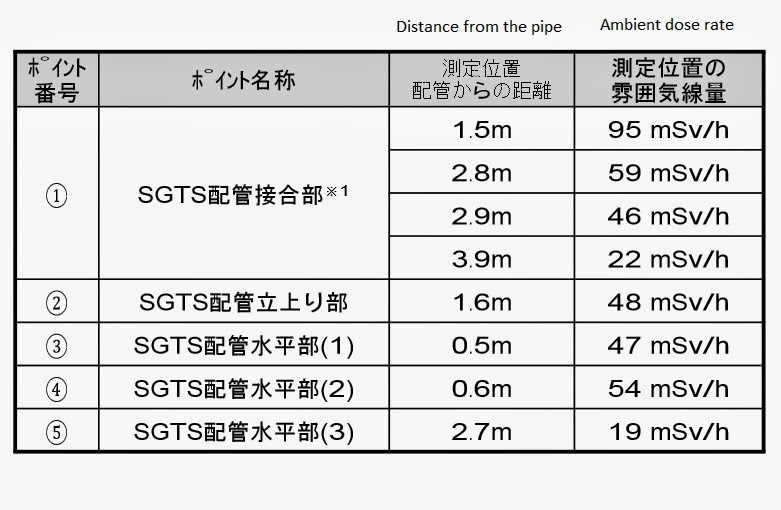 TEPCO measured the ambient air dose rates around the two locations where TEPCO thinks the radiation sources exist, and calculated the possible radiation level right at the radiation source. (UPDATE) Do you want to know what else was passed along with the State Secrecy Protection Law? Two laws to limit the welfare payment for the poor. Unlike the US, Japan's public welfare system pays monthly lump-sum money directly to the recipients. Citing "fraud" (if I remember right, 0.2% of the total payment), the lawmakers in the Upper House voted to practically force family members to take care of the welfare recipients in their families. They increased the fine for fraud from 300,000 yen (US$3,000) or less to 1 million yen (US$10,000) or less. All these to reduce the welfare cost that the national government pays out, to save money. These are on top of the intimidation and scolding that are dished out to the applicants by the municipal officials in charge of welfare. Who voted for these two laws? Everyone except for members of Communist Party (11), Social Democrats (3) and two independents (including Taro Yamamoto). Japan's "right-wing" administration curtails personal freedom and privacy citing the national security, benefits large corporations at the expense of the weakest in the society by cutting their benefits. In other words, they are doing exactly the same as the US's "left-wing" administration. But that point is completely lost on net citizens of Japan on Twitter. It is also almost completely lost on them (and the media that expresses outrage over the law) that the passage of the State Secrecy Protection Law is the logical result from the two preceding laws that were voted in with overwhelming approval both from the ruling coalition and the opposition (except Communist Party and Social Democrats) - national ID number law and the law to create the national security council copied from the United States. The opposition was in disarray, with Democratic Party of Japan walking out at one time, only to come back 10 minutes later to cast votes. LDP's Minister in charge of consumer affairs and women and children issues, Ms. Masako Mori, has been for some reason in charge of answering questions on the law, to the great frustration of both the opposition and Japanese citizens because of her very flimsy grasp of what the law is about (it is probably because she doesn't have a clue either). [Mori said] "The national government will carefully explain to the citizens using all means available the necessity of this law, and address citizens' concerns." "We needed to pass this law urgently in order to protect the lives of the citizens and the existence of the nation in the tense international situation." That's "women's power" for you, as touted by the Abe administration (with Ms. Mori as an great example) and by, most recently, the US Vice President Biden on his brief visit in Tokyo on the way to the more important visit to Beijing (where he practically approved China's newly declared Air Defense Identification Zone). The "tense international situation" Ms. Mori is referring to must be the one that exists with China, which is more manufactured by all parties involved (Japan, China, and the US) than actual. "Japan Secures Final Passage Of Secrecy Bill - Designed by Kafka & Inspired By Hitler?!!" The most direct design inspiration (or lack of design so that more can be added later - hmmm that sounds quite familiar in the US...) is the US's Patriot Act and what the US NSA and NSC have been doing under the two administrations. Just like the Japanese politicians and industrialists who badly wanted to have their own atomic power after they saw the destruction that the atomic bombs caused in their own country, LDP politicians (for that matter, DPJ politicians too) wanted to have a sweeping power over citizens in the name of national security. It probably makes them feel like they are actually doing something important. DPJ submitted the motion to the chairman of the Lower House (House of Representatives) in the Japanese Diet at 5:27PM on December 6 (according to a tweet by Taro Yamamoto, who is a member of the Upper House). There are 57 DPJ members in the Lower House, more than enough to submit this motion (which needs 51). It's not known whether Communist Party or Social Democratic Party joins DPJ in submitting the motion. The head of Social Democratic Party, Mizuho Fukushima, tweeted the DPJ's decision. DPJ is doing it to stall the vote on the State Secrecy Protection Law in the Upper House. There is not even the remotest chance that the motion will pass the Lower House where the ruling coalition holds 325 seats out of 480 (see wiki on Japanese National Diet for numbers). Because of the motion of non-confidence in the Lower House, the Upper House session, which was scheduled at about right now, will be delayed by 3 to 4 hours. LDP and Komei have already decided to extend the Diet session for two more days. Members of Democratic Party of Japan in the Upper House had all voted for the creation of the Japanese version of NSC (National Security Council) and the national number ID ("My Number") law, both of which will give more power to the executive branch. US NRC Chairman Allison MacFarlene is in Japan right now, and she spoke with the reporters on December 6 at the US Embassy in Tokyo. US Nuclear Regulatory Commission (NRC) chairman MacFarlane indicated her support for the IAEA recommendation to consider releasing the contaminated water accumulating at Fukushima I Nuclear Power Plant as the result of the nuclear accident into the ocean. She said the recommendation was appropriate. She spoke with the press at the United States Embassy in Tokyo. The IAEA delegation issued a report on December 4 that recommended considering alternatives including releasing into the ocean if radioactive materials in the water are below the legal limit. Chairman MacFarlane was asked about reporting in the US on the effect of radioactive contaminants from the Fukushima I NPP accident on the west coast of the US. She pointed out that it was natural for people to worry about the effect of radiation, but she referred to the estimate that "the density of radioactive materials that will reach the US (coastal water) will be less than 1/100th of the standard set for drinking water" and called for calm response. Other than certain blogs and websites that continue to grossly exaggerate the Fukushima nuclear accident (almost to the point of falsifying, by withholding or ignoring data and by declaring "they lie") after nearly two years and 9 months, I don't see much reporting on the Fukushima accident in the US. There is no mention of the press conference at the US Embassy website yet. In order to release the treated water from Fukushima I Nuclear Power Plant, ALPS has to be in full operation (to remove gamma nuclides other than cesium, and alpha and beta nuclides (including strontium)), but it isn't. The system continues to have minor problems that prevent the system from operating fully. Then, currently there is no large-scale system that could remove tritium (whatever the US Energy Secretary says about Kurion), thus dilution as recommended by IAEA. By the way, the US NRC has been ordered to resume the licensing review of Yucca Mountain Waste Repository, after the "US Court of Appeals for the District of Columbia Circuit said in a 2-1 decision August 13 that NRC had violated the law when it suspended the congressionally mandated review of the Yucca Mountain repository license application in 2011 and ordered the agency to restart that process". The commissioners of the US Nuclear Regulatory Commission ordered agency staff Monday to complete and publish a safety evaluation report on the proposed Yucca Mountain, Nevada, nuclear spent fuel and waste repository. "The Commission has also requested [Department of Energy] to prepare a supplemental environmental impact statement requested by the staff in order to complete [NRC's] environmental review of the application," NRC said in a statement Monday. The multi-volume safety evaluation report, or SER, reflects NRC staff's assessment of the repository proposed for the site roughly 95 miles (about 153 km) outside Las Vegas and is considered in NRC's determination of whether the facility would meet regulatory requirements. Volume 3 on the post-closure safety of a repository at Yucca Mountain is central to making that determination. The Nuclear Energy Institute, which represents the US nuclear power industry, was among those who have recommended that completion of the SER be a top NRC priority. NEI did not respond immediately Monday to a request for comment on the commission's order. NRC spokesman David McIntyre said in a post Monday on the agency's blog that the commission's order does not "signal that a licensing decision is imminent. Before a final licensing decision can be made, the adjudicatory hearing must be completed, and the Commission must perform its own review." Calls for completion of the SER were included in comments NRC staff and licensing participants filed with the commission September 30. The US Court of Appeals for the District of Columbia Circuit said in a 2-1 decision August 13 that NRC had violated the law when it suspended the congressionally mandated review of the Yucca Mountain repository license application in 2011 and ordered the agency to restart that process. Gregory Jaczko, the NRC chairman in 2011, attributed the suspension to NRC's lack of funds to complete the work. The agency began what it called an "orderly closure" of its Yucca licensing activities in 2010, the same year DOE dismantled the Yucca Mountain program and left the repository license application at NRC under review. NRC staff estimated in comments to the commission in September that it is possible SER Volumes 2-5 could be completed in about 12 months at a total cost of less than $11.1 million, the amount of carryover funds NRC has available to complete the review. DOE told the commission in its comments that the department "is committed to complying as expeditiously as possible with any NRC order, subject to the availability of funds." DOE said it has about $15.4 million in unobligated Yucca carryover funds that could be used to support participation in an NRC licensing proceeding. The department added that it also has $29.5 million in Nuclear Waste Fund money that is obligated on existing contracts and that about $18.1 million of that obligated money could be used for DOE work needed to support an NRC licensing proceeding. NRC's McIntyre said Monday that the commission's order does not direct staff to resume an NRC licensing board's adjudicatory hearing on the application, nor does it reactivate the Licensing Support Network, or LSN, a system created by NRC as a web-based document storage and retrieval system that could be used as tool during legal discovery in a Yucca licensing proceeding. "The Commission said it would consider the future of the LSN and the adjudicatory hearing once the tasks it directed today are completed and it can determine what tasks it can perform with whatever available funds remain," McIntyre said. The bill no one in the ruling coalition or in the opposition seems to have a firm grasp of to ask intelligent questions and give intelligent answers has just passed the Committee vote by the majority (4:08PM, December 5, 2013). According to the party newspaper of Japanese Communist Party (tweet), an LDP member of the Committee submitted a motion to stop the discussion, and the Committee chairman declared, in the middle of discussion, that there be a vote. The majority voted for the bill, and the Committee was adjourned in confusion. There is no filibuster in Japan's Upper House. The US Senate had one until very recently when Dirty Harry effectively ditched this long tradition of more than 200 years. The bill immediately goes to the Upper House session. LDP and the coalition partner Komei Party seem to want to pass the bill within today, the last day of the Diet session. Rushing the bill full of holes doesn't make sense politically for the ruling coalition. Frogs are to be boiled slowly. Citizens have been gathering around the National Diet building, and I see more net citizens tweeting that they are on their way to the Diet building, even if that means they are "terrorists" (according to LDP's Ishiba) shouting and demonstrating against the government. Citizens report a sudden increase of the police in the area surrounding the Diet building. Japanese Communist Party wants to submit the parliamentary motion of non-confidence against the cabinet in the Lower House, which may result in the resignation of the cabinet and the Lower House election. But it needs 50 members of the Lower House to submit the motion. There are only 8 Representatives from Communist Party, and unless the second largest party in the Lower House (Democratic Party of Japan, 57 Representatives) joins Communist Party, that is not going to happen. 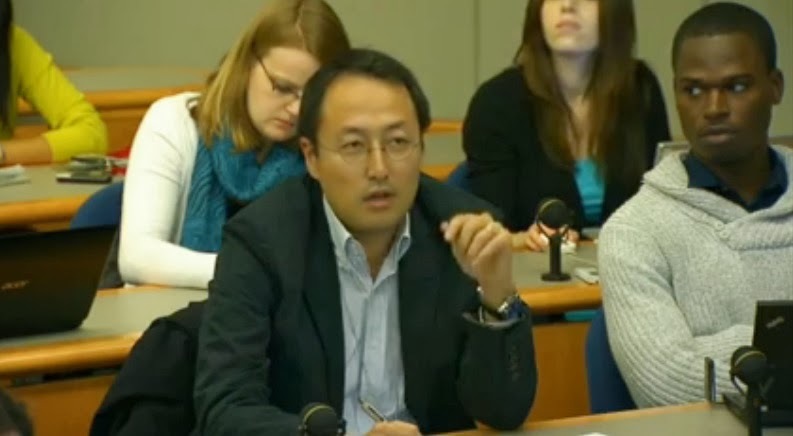 NHK says it didn't broadcast the committee proceedings, because there was very little interest from Japanese citizens. One logic repeated by LDP members of the Diet is: "Since we won the election, we have the mandate. We can do whatever we want, and that's what the voters want us to do." By the way, US Vice President Joe Biden (expert on foreign relations and national security, said the Japanese media) was in Japan on December 3rd. I'm sure he instructed Abe very well. Japan looks so solidly under the bus now, even as the ruling coalition of Liberal Democratic Party and Komei Party (plus Your Party and probably Japan Restoration Party) pushes the passage of the State Secrecy Protection Law in the Upper House of the Japanese national Diet, trying to do the bidding - supposedly - of the US Obama administration. Top Obama administration and Pentagon officials signaled a willingness to temporarily accept China's new, controversial air defense identification zone on Wednesday. Those officials expressed disapproval for the way in which the Asian power has flexed its muscles, and cautioned China not to implement the zone. But they also carved out wiggle room in which the United States and China ultimately could find common ground on the issue, indicating that they may be willing to live with the zone for now -- as long as China backs off its demand that all aircraft traveling through it check in first. "It wasn't the declaration of the ADIZ that actually was destabilizing," said Army Gen. Martin Dempsey, America's highest-ranking military officer. "It was their assertion that they would cause all aircraft entering the ADIZ to report regardless of whether they were intending to enter into the sovereign airspace of China. And that is destabilizing." That's a change from just a few days ago, when U.S. Vice President Joe Biden demanded that China take back its declaration of the zone. And it's another demonstration that China's recent decisions have forced the United States to tread carefully. On Wednesday, Biden met with Chinese President Xi Jinping in Beijing for more than five hours, according to a senior administration official. In brief public remarks midway through the marathon session, Biden didn't mention the air defense zone at all. ...In meetings in Beijing on Wednesday, Biden laid out the U.S. position in detail, reiterating that the United States does not recognize the new zone and has deep concerns about it, a senior administration official said. Biden told Xi that the United States wants China to take steps to lower tensions in the region, avoid enforcement actions that could lead to crisis, and to establish communication with Japan and other countries in the region to avoid altercations, the administration official added. Privately, Biden did not call for the air defense identification zone it to be rolled back -- something administration officials had done Monday while Biden was visiting Japan. Instead, the vice president asked the Chinese leader to be careful about how his country operated the zone going forward. "He indicated to Xi that we are looking to China to take steps as we move forward to lower tensions, to avoid enforcement actions that could lead to crisis, and to establish channels of communication with Japan, but also with their other neighbors to avoid the risk of mistake, miscalculation, accident or escalation," the official told reporters in Beijing. "As long as you don't actually implement and enforce it, your ADIZ is OK with us in the US (wink wink)" is essentially what VP Biden and General Dempsey are saying. Much like President Obama issuing executive orders to let businesses break the law (Obamacare) for one year without penalty. The choreography is that the Committee vote is expected in the afternoon, and then the bill goes to the full Upper House floor either in the evening for vote or tomorrow, by extending the Diet session by one day. Watching the questions and answers in the Committee, neither side - the Abe administration and the ruling coalition, or the opposition - doesn't seem to quite know what they are talking about. Remember Boy Wonder, aka Mayor of Osaka City of comfort women fame? He's trying his best to get his name printed in the newspaper by making fuss about the law that he and his party are quite in favor of. Right now, Boy Wonder is saying he thinks the law is necessary, but he doesn't agree with the vote today. Just like in the Lower House, his party will be happy as long as the bill is not voted on today. It is all happening as the US has thrown Japan under the bus and Japan doesn't even know it. as the vocal opposition to the State Secrecy Protection Law (which is now in the Upper House) from the press, legal experts, scholars, celebrities, net citizens and citizens in the real (physical) world continues in Japan. 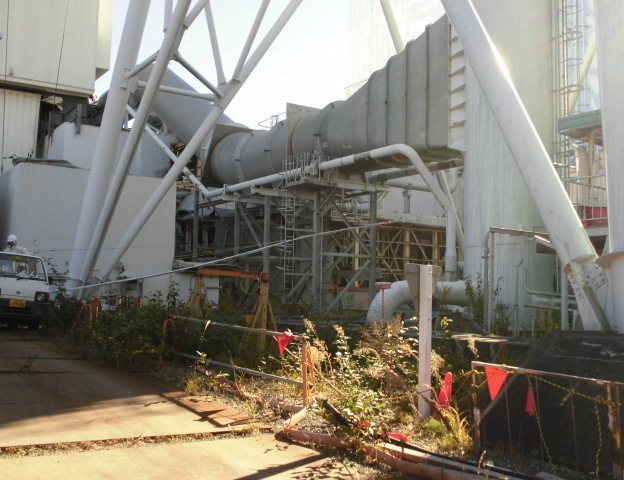 Mainichi, Asahi, and Tokyo Shinbun in particular have been expressing the fear, real or imagined, that anything related to the Fukushima I Nuclear Power Plant accident can be categorized by the national government as "state secret" and suppressed. As if to prove their point, Mainichi and Asahi each published an article, supposedly disclosing the secret documents (both of which appear, simply, not to have been designated for public release and consumption - i.e. internal ministerial documents) related to the nuclear accident that they had obtained (Mainichi through information disclosure request, Asahi through insider leaking the information). First, Mainichi says it has obtained a 30-page document, a report of the visit to Chernobyl in March 2012 by the delegation of the Cabinet Office, through information disclosure request. No reason is given why Mainichi requested this report one year and eight months later. It has been revealed that the Cabinet Office complied the report that denied the significance of [so-called] "Chernobyl Act", which was established to support the victims after the Chernobyl nuclear accident in 1986 in the former Soviet Union. The Cabinet Office had sent officials in March 2012 to Russia and other countries to help decide the government response to the Fukushima I Nuclear Power Plant accident. It was when the "Children and Disaster Victims Support Act", which inherited the principle from the Chernobyl Act, was being drafted. However, the trip report was never made public; instead it was distributed to pro-nuclear groups that had a close association [with the officials who went on the trip]. The "Children and Disaster Victims Support Act" was passed in June 2012, promising extensive support for [people] in the areas with certain levels of radiation exposure. 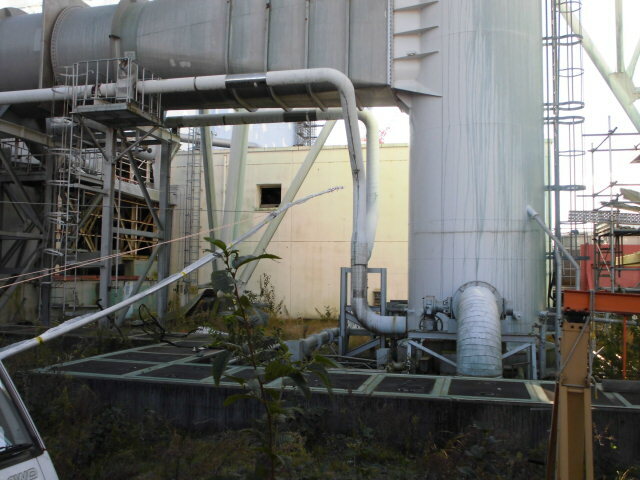 However, in October 2013 the basic policy was set to limit the support areas to part of Fukushima Prefecture only. The members of the National Diet who led the effort to pass the Act now suspect that the national government was secretly planning to water down the Act from early on. The 30-page trip report was written by the Cabinet Office Support Team for Nuclear Disaster Victims, and it was obtained by the information disclosure request from Mainichi Shinbun. The 10-person delegation was headed by Ikuro Sugawara, assistant Secretary General of the team (and Director General of Economic and Industrial Policy Bureau at Ministry of Economy, Trade and Industry). The delegation went to Ukraine and Belarus (from 2/28 to 3/6/2012) and Russia (3/4 to 3/7/2012) in two groups, and interviewed government officials and researchers there. While the "Chernobyl Act" confers the right to relocate [to residents] in the areas with annual radiation exposure exceeding 1 millisievert and the obligation to relocate in the areas with annual radiation exposure exceeding 5 millisieverts, the report denies the significance of the "Chernobyl Act" by saying "(Designation of the areas) are too strict", and citing testimonies such as "Compensation and support schemes become vested rights, and lifting or modifying the designated areas cannot be done due to opposition from municipalities and residents", "there is no benefit that justifies the enormous cost", "The Chernobyl Act is not appropriate to adopt in Japan". In comparing both nuclear accidents, the report also emphasizes that the [government] measures against health effects in Fukushima Prefecture were appropriate. Ms. Kuniko Tanioka, former Councilor (then of Democratic Party of Japan) who led the effort to pass the Children and Disaster Victims Support Act says, "I haven't heard about the visit itself." Councilor Ryuhei Kawada (of Your Party) says, "It's clear that [the government] intended to downplay the damage at that time. The purpose was probably to squash the Children and Disaster Victims Support Act." Mr. Sugawara argues that he wasn't involved with the Children and Disaster Victims Support Act. However, he admits that he used the report to spread a different idea from the Chernobyl Act and the Children and Disaster Victims Support Act, and says "At that time the health effects were exaggerated. So we explained to people by showing the report that the psychological care was more important." The report was distributed to pro-nuclear expert groups and members of the Diet who were not leading the effort to pass the Children and Disaster Victims Support Act. Councilor Tatsuo Hirano, then-Minister of Reconstruction who ordered the trip says he instructed the officials to see how the Chernobyl Act was implemented, but he admits that the report may be biased. "You could say it is one-sided, if you read it today." Mr. Hirano says he didn't know how the report was used by Mr. Sugawara and his people. "The report ended up (being distributed to a small number of people without being made public). It should have been distributed to people with different opinions." Haven't heard of it? Well Ms. Tanioka, it was your party who was in charge of the national government at that time. According to Mainichi, the report is biased because it lacks more dire testimonies, comments, research results from Ukraine and Belarus. The so-called "Chernobyl Act" is revered in Japan among people who are worried about the effect of radiation from the accident as the infallible and scientific standard to deal with a nuclear accident and the victims of a nuclear accident. Then, Asahi says it has obtained a document created in March 2011 right after the start of the Fukushima I NPP accident by an official at Ministry of Economy, Trade and Industry (which was simultaneously the promoter and the regulator of the nuclear industry in Japan at that time). Right after Tokyo Electric Power Company caused the Fukushima I Nuclear Power Plant accident in March 2011, Ministry of Economy, Trade and Industry created an internal document for "the revival of nuclear power" and "rebuilding the nuclear power plant export", it has been revealed. The ministry was trying to maintain the policy to promote nuclear power in the middle of confusion after the nuclear accident. Asahi Shinbun obtained the "classified" (meaning the document requires access control) document dated in late March 2011 and titled "For the revival of nuclear power". According to the source, the document was created by the officials knowledgeable about nuclear power (plants), and distributed to the officials involved in energy policies. This document became one of the bases for confirming and planning the policies after the accident. 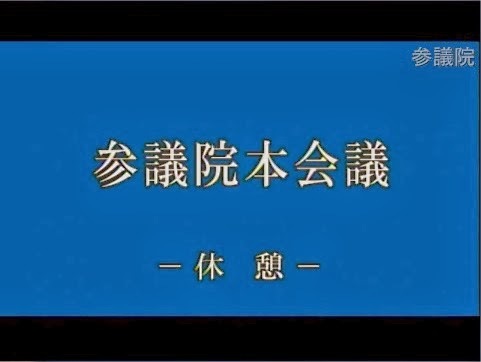 The "Executive Summary" at the top says "There is no stable energy supply without nuclear power," and "This is to declare the renewed determination by the national government to continue nuclear power." Further, it says "[We will] revive nuclear power, and rebuild the base for infrastructure export," reaffirming the maintaining of nuclear power plants and promotion of the export [of nuclear power plants]. It emphasizes [the revival of nuclear power] is "the revival of METI itself", and positions it as the most important policy [of the government]. In the export [section], it says "we will analyze the information from this tragedy and share it with the world". The mantra of the Abe administration, in promoting the export of nuclear power plants, is "to share the experience and lessons of the accident with the world", and this internal document may have served as a prototype. 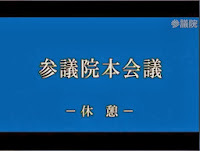 Further, there are sections discussing the detailed plans such as: (1) Emergency response to the accident, (2) Emergency declaration (3) Forming the Nuclear Regulation Authority, (4) Dissolution of TEPCO and establishment of new electric power business structure. The Nuclear Regulation Authority was set up in September 2012 under the DPJ administration. According to the document, [nuclear power plants] to be inspected under the new standard and "restart the plants that pass the inspection", which dovetails with the policy under the DPJ administrations and the Abe administration whose policy is to "utilize nuclear power plants". A bureaucrat who worked at the Agency of Natural Resources and Energy under METI at that time says, "The document was created by high-ranking officials knowledgeable about nuclear power plants. It is only natural that the ideas from the officials who know a lot about policy-making get implemented. Under the State Secrecy Protection Law, documents related to nuclear power plants may be concealed. Citizens may not be able to examine the policy planning process. As usual in Japan, neither newspaper even lets the readers see the documents. There is no link, no embed. We as the readers have to take their word for it. Both Mainichi and Asahi had more than a year, if they wanted, to dig up and report their respective information, and examine the policy planning process as much as they liked. They didn't. But suddenly, with the State Secrecy Protection Law with its potential threat to press freedom which they didn't bother exercising much since the start of the nuclear accident, they cough up the information as if to prove their worth to the public.